The Education Sector recognizes the important role of education as a main driver for making positive changes in the lives of millions of deprived children and contribute to the overall development of the country. Globally, Save the Children has an Ambition for 2030 that is in line with the Sustainable Development Goal-4 for 2030, which states that “All children learn from a quality basic education”. As such, quality basic education is the common platform for government and other stakeholders to achieve SCI target and directly contribute to the national and global target of SDG 4. Save the Children’s priority areas in education are pre-primary/Early Childhood Care and Development (ECCD) and basic education. The sector will work with government to promote collaborative partnership among Government of Bangladesh, NGOs, private sector and communities for universal coverage of quality pre-primary education and ensuring quality inclusive basic education throughout the year, even during disasters, to demonstrate relevant learning outcomes for children. We are committed to work with government and all these other stakeholders both at policy and practical levels to ensure education rights of all children in Bangladesh, including the most deprived ones. Save the Children has been the pioneer in Bangladesh in the area of ECCD programming with “Play school” piloting in 1983 in Nasirnagar Upazila of Brahmanbaria district. Since then, many different models were piloted and other stakeholders were brought on board to do joint advocacy for an ECCD policy and national scale up of the proven initiatives in ECCD, eventually preschool became part of the National Education Policy 2010. In this new strategy period, the sector is targeting support to the Government of Bangladesh in implementation of National ECCD Policy and National Education Policy and development of scalable cross-sectoral interventions for holistic ECCD. Save the Children has profound experience working with the government primary schools in promoting quality education through different interventions like reading initiatives, literacy and numeracy boost, after school remedial support for lower performing student, ICT in education and multilingual education. Bangladesh has made significant strides in access to primary education, but quality is still a big concern. Save the Children also has extensive experience in large scale operation of non-formal basic education for creating primary education opportunities for out of school children through accelerated models (SHIKHON and SUSTAIN) for both urban and rural children. 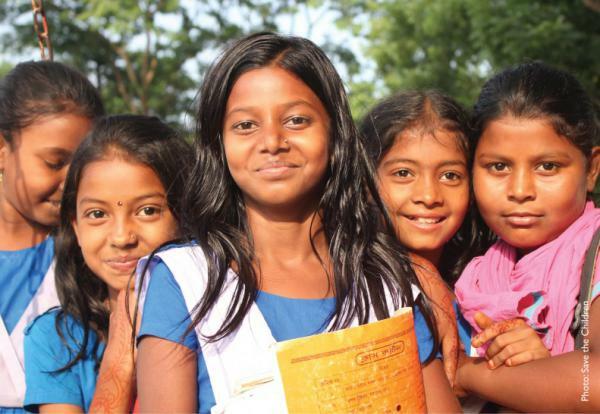 In the present strategic planning period, we have plan to continue our advocacy for targeted formal and non-formal approaches to reach every last child (those who dropped out and never enrolled) in the diverse contexts of Bangladesh.